Offset half pave set diamond engagement ring set in 18k white gold. 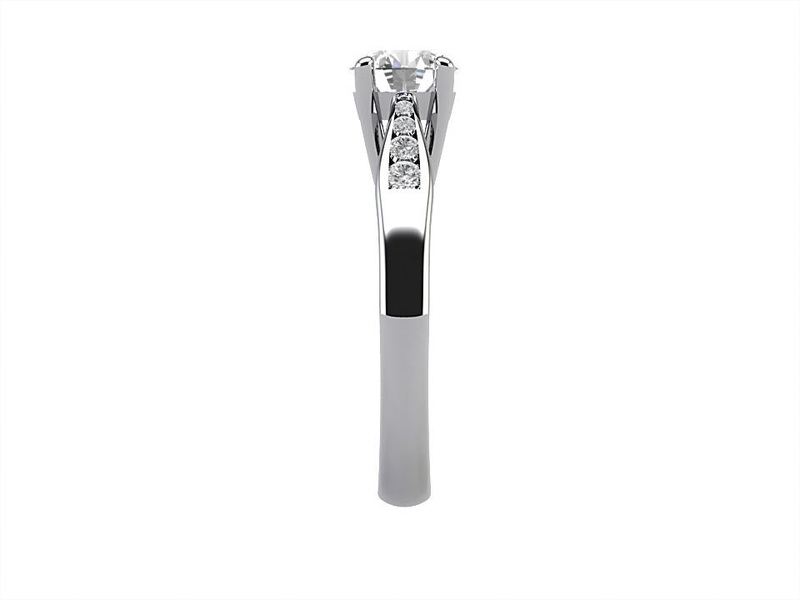 The total carat weight 0.82 is made up of 0.50 carat center diamond plus 0.32 carat diamonds on the band. 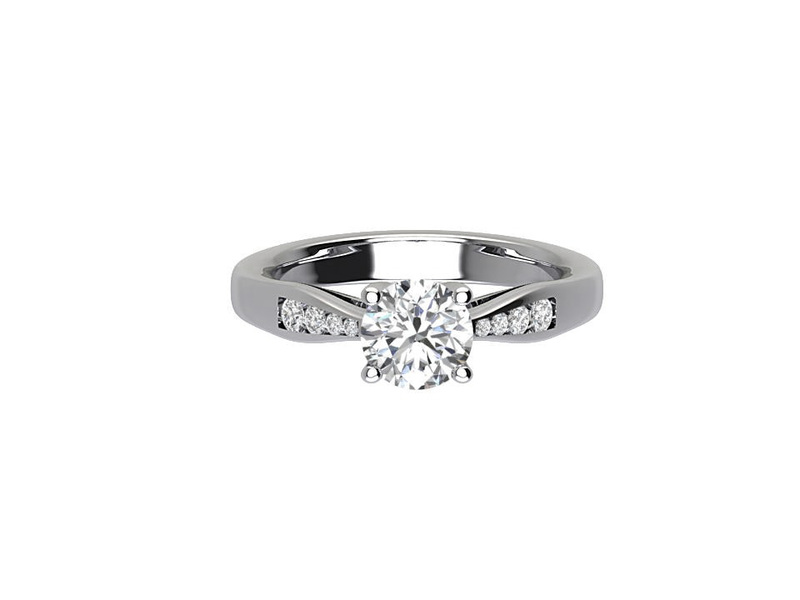 The center diamond is set in a four claw setting in a half pave set contemporary band.